On their first two albums, Titus Andronicus sculpted glorious punk epics out of beer-drenched masochism, heartbreak, and American history. Pairing grandeur with a healthy dose of nihilism, the Jersey-based quintet has consistently managed to be both bombastic and relatable. On Local Business, Titus Andronicus forgo a lot of the bravado, emphasizing instead their DGAF attitude. “I think by now we’ve established everything is inherently worthless,” frontman Patrick Stickles declares on the opening track. Local Business feels like a tirade against pretension and, to a certain extent, the increasingly artificial world of “indie” rock. Titus Andronicus fully embrace their punk sensibilities on a homegrown, DIY record. Unfortunately, after the rabble-rousing Civil War saga The Monitor, Local Business feels a little tame. Many of the songs are structurally similar, and by the end, the bleak, meandering nihilism has stagnated. “In A Small Body” seems almost whiny, and “Titus Andronicus vs. The Absurd Universe” verges on repetitive. These are thankfully balanced by tracks like “Ecce Homo” and “My Eating Disorder,” a pair of provocative salutes to self-destruction. 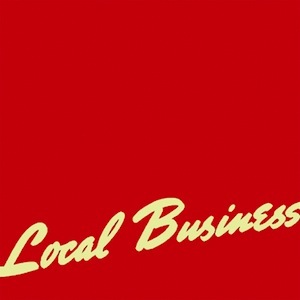 So Local Business isn’t groundbreaking, but it’s far from a bad album. Self-aware and evocative, Titus Andronicus’ third record is an irreverent middle finger directed at, well, pretty much everyone.